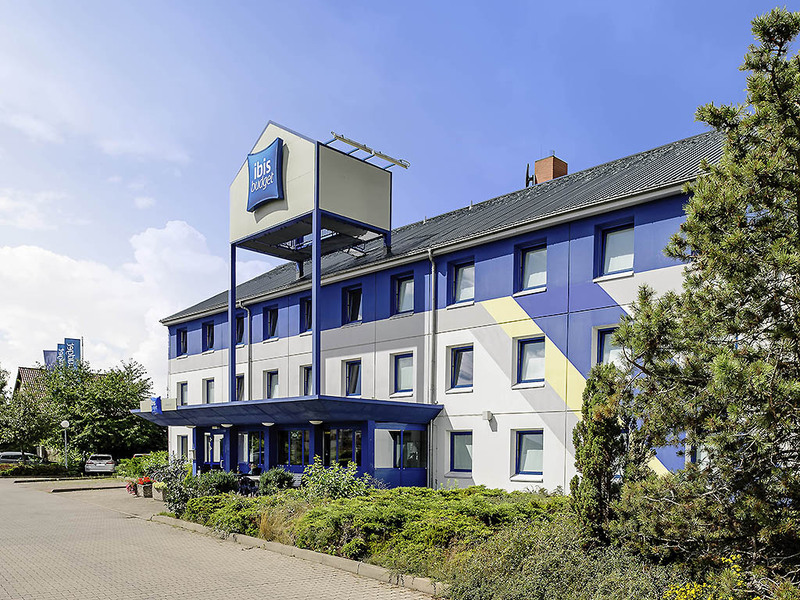 Hotel ibis budget Dessau Ost. Book online now! Free Wifi! Friendly staff, comfortable room, easy booking, convenient with number-lock on doors. We often book ibis budget for short stays (5-7 hours of sleep). In Dessau Ost it is easy to access from Autobahn and always clean. Breakfast is a good standard. I feel that price and product is at the same level. It's exactly what you need for overnight traveling hotel. Basic and clean! Rooms are nice and spacious, rooms were very quiet even though hotel was almost full. Will definitely stop over in our next trip in that direction. The automated check-in was amazingly helpful and straight forward. Dog friendly! Good place to stop while in travel: clean, quiet, with free parking place and free Wi-Fi, extremely nice and friendly owners. At close distance: McDonald's, the Police, pertrol station and large shopping center. I do recommed this place for short stop-by while in travel. Very convinient location for our itinerary.Satisfactory standard what you paid for. Animals are accepted - since we are travelling with dog it is an asset. We will choose Dessau Ost in the near future again. We stayed here one night because we couldn't get three consecutive nights in Leipzig due to a convention going on at the Leipzig Messe during March 18-21, 2016. We arrived when reception is not open, but they provide a check in kiosk, which made it really easy. However, the hotel is not non-smoking (and I had forgotten to request a non-smoking room), so we were given a smoking room and it smelled very smoky in the room we were assigned. Thankfully we only had to wait about 10 minutes before reception opened at 5pm. We explained the situation to the lady and right away she gave us another room. Ibis budget rooms are very basic, but they offer what you need, a bed, a sink, a wc and a shower ensuite, thus no sharing of facilities out in the hallway. The breakfast has a nice variety....yoghurt, breads, cheese, coldcuts, eggs, juice, coffee & cereals. The staff were very friendly and we would recommend this hotel, especially due to it's location, within a kilometer of the highway exit. An Ibis Budget (ex-Etap) is what it is. Spartan, no-frills. This is a very well-run example, conveniently located for Dessau, Wittenberg and Wörlitz. Those in my party who had the breakfast (extra charge) thought it was good value. On busy nights, finding a place to park can be a problem. 10 minute drive to Dessau centre, easy to find from motorway and MacDonalds next door if wanted. We drove into town. Probably could walk but was night time and cold! Easy parking and found good Italian restaurant. Next day parked right opposite Bauhaus. The good thing with Ibis is that you know what you get, nothing more, nothing less. We stayed here only one night on out way down to the Alps and the place is great for just that, as it is close to the highway and cheap. Everything is OK: close to highway, free parking place and internet access, quiet place to sleep, but above all - very nice people taking care of the hotel: very nice, friendly and gentle. I do recomend this place! Good for a one night stay. The room has a nice size for two people. Free Internet access. Located near fine A9. Fits perfectly for our trip in Germany. Do stay here several times and makes it possible again. Very good price. The back gives you a nice green view. Almost walking distance to a shopping mall. Very friendly service. Price is right! Only EUR 29/night Next to large police station! So the safest hotel in Germany!